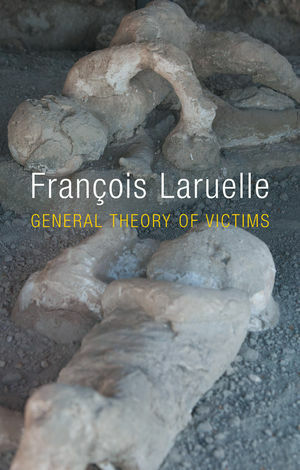 The most accessible expression of François Laruelle's non-philosophical, or 'non-standard', thought, General Theory of Victims forges a new role for contemporary philosophers and intellectuals by rethinking their relation to victims. A key text in recent continental philosophy, it is indispensable for anyone interested in the debates surrounding materialism, philosophy of religion, and ethics. Transforming Joseph de Maistre's adage that the executioner is the cornerstone of society, General Theory of Victims instead proposes the victim as the cornerstone of humanity and the key figure for contemporary thought. Laruelle condemns philosophy for participating in and legitimating the great persecutions of the twentieth century, and lays out a new vision of victim-oriented ethics. To do this, he engages the resources of both quantum physics and theology in order to adapt a key concept of non-philosophy, Man-in-person, for a new understanding of the victim. As Man-in-person, the victim is no longer exclusively defined by suffering, but has the capacity to rise up against the world?s persecution. Based on this, Laruelle develops a new ethical role for the intellectual in which he does not merely 'represent' the victim, but imitates or 'clones' it, thereby assisting the victim?s uprising within thought. François Laruelle is Professor Emeritus of the University of Paris X (Nanterre) and former director of the International College of Philosophy. He is the author of many works including Principles of Non-Philosophy and Future Christ: A Lesson in Heresy. "General Theory of Victims demonstrates the force and rigour of Laruelle’s most recent thinking. He has created something genuinely original: an ethical theory untied from worldly subject positions and identities, transforming the understanding of the victim in our political and intellectual culture and offering a radically new conception of justice." "The philosopher’s victim is an abstraction, a theoretical plaything (where the roles of ‘oppressor’ and ‘oppressed’ can be as easily reversed as maintained). In this excellent translation of Laruelle’s work, we glimpse the presence of another, radical form of victim, one who cannot be theorized through philosophical concepts: beyond the ‘victimology’ of philosophy lies the ‘victim-in-person’."